Kickboxer is in late development. 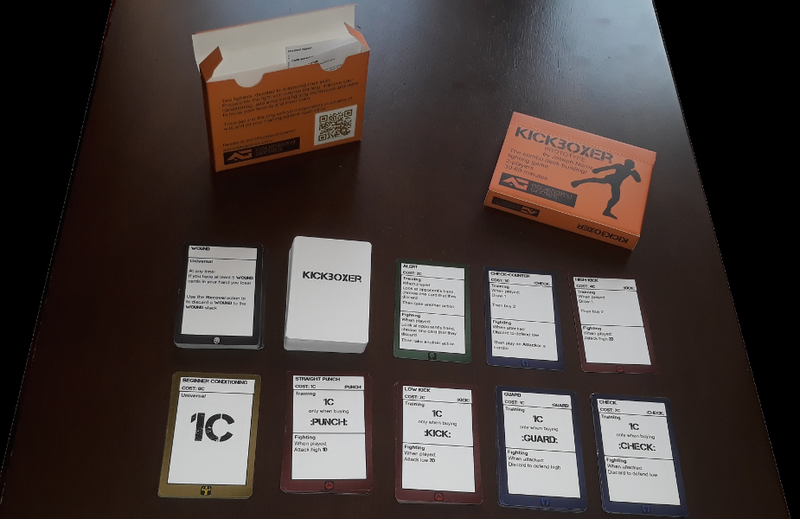 The game is played over two rounds: In the first round the players train their fighter, building up their deck with body conditioning and more powerful moves. In the second round the players put their fighters against one another, may the best fighter win!